Andy H: One of those odd weeks where, despite a reasonably packed new release list, my pull isn't too big. Not to panic, still got some good reading to look forward to. Issue #1s are thin on the ground this week but Vertigo have one I will be checking out. 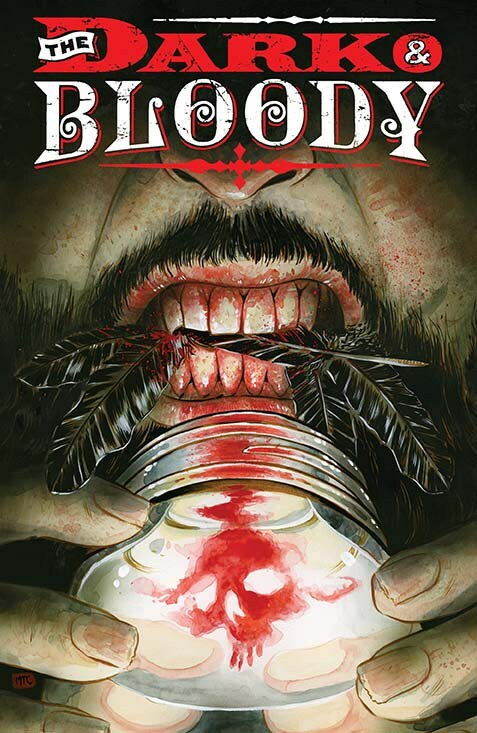 The Dark & Bloody is a six-part mini written by Shawn Aldridge with art by Scott Godlewski (artist on the excellent Copperhead). A returning Iraq veteran falls on hard times and turns to running moonshine in the backwoods of Kentucky. Being Vertigo there's bound to be something dark and scary lurking in the woods somewhere and it looks like there is. The South seems to be on the rise at the moment (in comics) with a fair number of titles set there, Southern Bastards definitely topping the list. Slipping away from the darker side of comics it's time for issue #2 of Harley's Little Black Book. This time the lovely Ms. Quinn teams up with Green Lantern for some cosmic shenanigans. More messing about can probably be found in Spider-Man/Deadpool #2. Joe Kelly has always been a writer that can deliver lighter moments in comics and Ed McGuinness has a great take on Deadpool. Not sure how long this 'team' book will last but should be fun while it does. This issue we get Spider-Man x2 as Miles Morales joins the not-so-dynamic duo. Returning to the slightly grimmer side of comics I'll be picking up Old Man Logan #2. Logan continues with his plan to change the future because we all know a clan of hillbilly Hulks is not something we would want ahead of us! Still at Marvel, Mark Waid's run on Avengers (do I have to call it All New All Different Avengers?) picks up the pace as a villain is revealed and this issue has a really cool cover. While I'm not 100% sure what's going on in Injection, it's a must read. Issue #7 features a man having an affair with the ghost of his dead girlfriend. Warren Ellis rocks! Stick The Autumnlands #9 and Harrow County #9 on my pull and it should be an entertaining week of reading. 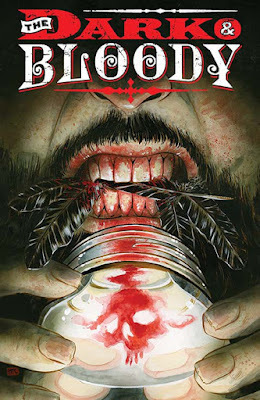 Stewart R: Like Andy, I'll be giving The Dark & Bloody #1 a look this week primarily off the back of Scott Godlewski's superb art work over at Image on Copperhead. He has done a fantastic job on that sci-fi western series so far and I'm interested to see what he can do with a genre shift to a horror title. The two big books I'm really excited to get stuck into this week would be Weirdworld #3 and The Troop #3. Sam Humphries has captured the crazy vibe of Weirdworld and Becca's vague handling of her new, wild and murderous surroundings with aplomb, while Mike Del Mundo's art continues to be the best you'll see in any book on the stands. The terrific part of a series like Weirdworld is the near unlimited storytelling potential Humphries has at his disposal thanks to a constantly shifting setting where magic reigns and you never know who you might bump into next. Meanwhile, over at Titan, The Troop has been a real winner in my eyes, dabbling in that familiar trope of the superhero team book, but bringing a tension with it that has felt palpable. This latest chapter hits the halfway point and I'm intrigued to see if Noel Clarke has more mysteries to reveal as we roll towards what might be an explosive finale.